Synergy Pharma is celebrating after the FDA approved Trulance, its drug for the treatment of chronic idiopathic constipation (CIC) in adults. Trulance (plecanatide), an orally administered guanylate cyclase C (GC-C) receptor agonist, works locally in the upper gastrointestinal tract to stimulate secretion of intestinal fluid, which helps keep bowel function regular, according to the US regulator. In trials, a once-daily dose of Trulance was more effective than placebo to improve the frequency of bowel movements in patients diagnosed with CIC for at least six months. There are around 42 million people in the US who suffer from constipation, according to the National Institute of Health (NIH). Synergy estimates that 33 million Americans have CIC, which refers to constipation that is persistent but can't be attributed to a particular cause. Given the scale of the problem analysts have predicted that Trulance could become a $450m product by 2020, assuming it also gets a green light for a follow-up indication in constipation linked to irritable bowel syndrome (IBS). Synergy said it has completed two phase III trials in IBS constipation and intends to file for approval in the US before the end of March. "Trulance is the first drug designed to replicate the function of uroguanylin, a naturally occurring and endogenous human GI peptide that is thought to stimulate fluid secretion," said Synergy in a statement. The company said it plans to launch Trulance later this quarter. 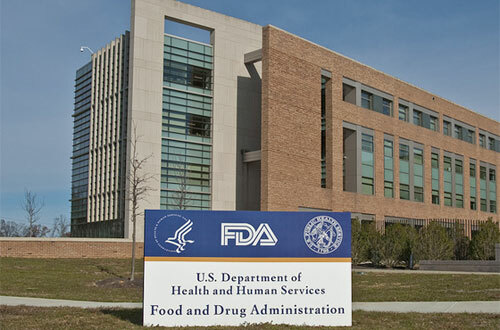 "No one medication works for all patients suffering from chronic gastrointestinal disorders," said Julie Beitz of the FDA's Center for Drug Evaluation and Research (CDER). Having additional treatment options allows patients and doctors "to select the most appropriate treatment". Plecanatide's closest competitor in the market is Ironwood/Allergan's Linzess/Constella (linaclotide), described as a guanylate cyclase stimulant, which is approved for the treatment of constipation-predominant IBS in several markets as well as CIC in the US, Canada and Mexico. Allergan reported Linzess sales of $464m in the first nine months of 2016, a rise of 40%. Synergy has a follow-up GC-C agonist called dolcanatide in phase II trials as a treatment for ulcerative colitis and opioid-induced constipation (OIC). The latter indication is also targeted by AstraZeneca's Movantik (naloxegol), recently sold to ProStrakan in Europe where it is marketed as Moventig.